If you missed our Cybersecurity Session “Cybersecurity for CEO’s- The Game Has Changed” at The NAA Education Conference, no worries. Our friends at Multi-Housing News have published a great article for you. Special thanks to Sanyu Kyeyune for attending our session and writing the article. At NAA’s recent conference in Atlanta, panelists shared best practices for keeping vital network information safe from attack. The panel included Chad Hunt, supervisory special agent with the FBI; Dave McKenna, CEO of ResMan; Frank Santini, cybersecurity attorney of Trenam Law; Jeremy Rasmussen, cybersecurity director of Abacode; and Michael Reese, Chief Information Officer of USA Properties Fund, who moderated the session. The cost of stolen information for a single customer can fetch $10-20 on the dark net, but the liability to an organization is $158 or more. This greater figure reflects the cost to recover data, the value of this information to competitors and regulatory fines incurred. Multiply this number by 50,000 customers and the cost amounts to $7.9 million—enough to put some property management firms out of business. Once the value of data has been quantified, the next step to addressing a company’s cyber health is to ask how secure networks currently are, because on average, noted Rasmussen, by the time a threat has been identified, it has been active for up to 270 days. One of the most common software attacks uses ransomware, which encrypts files—effectively eliminating access to important data—and threatens to delete or publish them until the victim pays an agreed-upon sum. However, organization that already has solid system backups in place can combat ransomware by reverting back to previously stored versions. 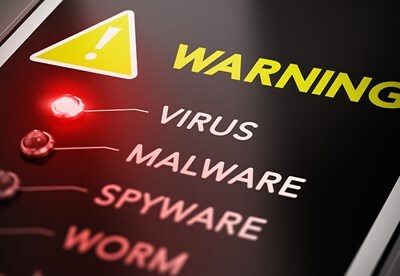 Along with ransomware, phishing attempts, social engineering, attacks on crucial infrastructure, financial fraud and “zero-day” vulnerability (a hole in security unknown to the vendor, typically identified and exploited by hackers over a short time frame) have emerged as some of the most damaging cybersecurity threats. According to Hunt, email is the most common point of entry for a cyber-attacker. Because emailing and phone calls already poke holes into a security system, organizations must be vigilant in managing these activities to avoid a breach. One way to do this is by focusing security training on individuals with elevated privileges, such as system administrators and C-suite users, which are hot targets for hackers. “An order of operations might be to call your IT people to stop and contain the threat, contact your attorney to find out what the legal implications are around reporting, call your public relations firm to control the event in the media and then to contact law enforcement,” Rasmussen offered. He also suggested that if a particular individual within an organization becomes the victim of a cyber-attack, then this person should file a police report to avoid being implicated as a perpetrator. When interacting with local authorities, Hunt added, it is most effective to do so in a controlled, documented manner. Santini encouraged leadership to secure a forensic investigator that will supervise the handling of evidence and assist in documentation—actions that can be helpful in the event of legal repercussions—and to ensure that attorney-client privilege keeps these interactions private. This entry was posted in Cyber Security, Data Breach, Hacking, Security, Technology and tagged Cybersecurity, Michael Reese. Bookmark the permalink.